Welcome to our second newsletter, H2O News from the Municipal Authority of Westmoreland County. H2O News gives you a small slice of what's news at MAWC. We also strive to keep you informed about the new projects and other happenings every day at our website, MAWC.org. When you're done reading this over, I invite you to visit our home page where there's so much more to learn. Supplying water services for 76 years, MAWC is the trusted municipal service provider for more than 120,000 drinking water customers and more than 25,000 wastewater customers in western Pennsylvania. We are particularly pleased to be named the People's Choice winner for the best tasting water in Pennsylvania two years running. You'll also see a brief recap below of our award for Economic Development that we shared with Tenaska Westmoreland. What follows are stories about water, how it's used, what we do, and who some of us are. Please don't hesitate to contact us if you would like to give us any feedback. The Municipal Authority of Westmoreland County received an Economic Development Award Nov. 5 for a project that will boost water quality, stabilize rates for all customers and benefit the entire region. 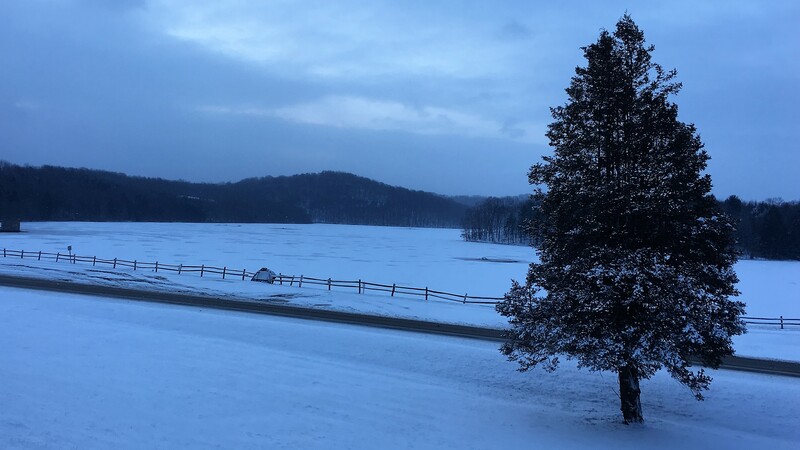 The Tenaska Westmoreland Generating Station and MAWC’s connected water treatment project will have a long-term trickle effect on Westmoreland County and its neighbors. By producing 925 Megawatts of electrical power, providing good permanent jobs, and contracting more than $500 million to build its plant, Tenaska will literally power economic development in the region for decades to come. As part of the power station project, Tenaska invested $25 million to upgrade the Indian Creek water treatment plant in Fayette County. The project was necessary for Tenaska’s operation, which is expected to use about 6 million gallons of water per day. MAWC upgraded the Indian Creek plant’s capacity and filters, added new water lines, new fire hydrants and a new pumping station. The annual revenue from water sales to Tenaska will also help stabilize rates for all of MAWC’s customers. “Tenaska financed the upgrades, so our current rate payers didn’t have to come out of pocket,” said MAWC business manager Brian Hohman. The upgrades will also benefit the entire system, he added. MAWC, Tenaska Westmoreland and Bruce Corna of KACIN Companies were presented with Economic Development Awards by the Economic Growth Connection at an awards banquet in Greensburg. “It’s always very nice to be recognized for the work the authority is doing within the region,” said Hohman, who was at the ceremony. He said speakers highlighted MAWC’s 10-year-partnership with Tenaska, and recognized how crucial water is to economic development. James Smith, president and CEO of the Economic Growth Connection, touted the South Huntingdon Township project for its economic boost and use of clean burning natural gas. The plant is “literally helping to fuel manufacturing for Westmoreland County,” Smith said. The $500 million-plus plant is nearing completion, which is expected in December. The plant will sell power to the PJM Interconnection regional grid, stabilizing local power supplies for decades to come. The project was selected for the award following Economic Growth Connection executive committee discussions about 2018 projects and their impact on the local economy. During those discussions, Smith said it was obvious the strong role MAWC plays in the local economy. “When we were discussing projects throughout the year that the water authority played a major role in, it also became obvious to us just how valuable a partner the authority is in economic development. It’s a foundation for economic development. You really can’t have economic development without water,” he said. Smith described the power plant as a “high-impact” project, fueling the economy. The clean energy sources used by the plant only made the choice more obvious. 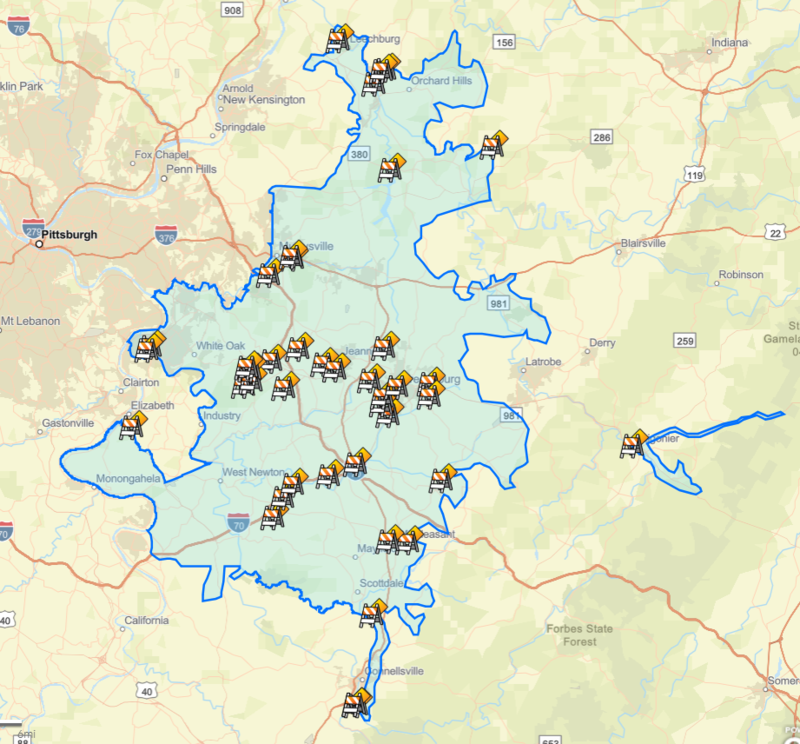 Those tax dollars will pour into Westmoreland County, South Huntingdon Township and the Yough School District, said Todd Jonas, Senior Vice President of Operations & Asset Management at Tenaska. “The upgrades and enhancements that MAWC has made to the Indian Creek Water Treatment Plant and its distribution system have improved the resiliency and reliability of the overall MAWC system. This benefits not just Tenaska but all MAWC customers,” he said. Indian Creek treats water from the upper Youghiogheny River for the majority of MAWC’s drinking water customers. It was honored earlier this year with the taste test awards Best of the Best and Peoples’ Choice from the AWWA, PA Section. Click here to see where your water comes from. “Tenaska has a reputation of being a good business neighbor in communities where our power plants are located. We are excited to bring that commitment to Westmoreland County,” Jonas said. During its peak construction, the Tenaska Westmoreland Generating Station employed 650 people, contracting with 125 regional businesses. To staff the plant, 24 full-time positions were hired. Seventy-five percent of those live in Westmoreland County. “These employees and their families live, pay taxes and purchase goods and services in the region,” Jonas said. Tenaska is likely to become MAWC’s largest water customer. They anticipate selling 6 million gallons of water per day for the plant, which could increase to 8 million, generating $2 million annually. “We are pleased to be doing business in Westmoreland County, and we look forward to being here for many years to come,” Jonas said. Did you know that you can track your usage, enroll in e-billing and access information about your account? Visit mawc.org and click Pay Now to enroll in our customer portal. Winter is the time for snowflakes, cozy nights with hot chocolate and visits to family over the holidays. But winter can also be a time for frozen pipes if you don't prepare. “We write about caring for your pipes every year, but it’s just so important,” said Amber Wilson of DrinkTap.org. Knowing where your home's master shutoff valve is can help you respond quickly if you do have a pipe burst. Turning the valve off will shut off water to your entire home. The valve is usually located near the main water line, where water enters your home. It might also be located near your water heater or washing machine. If it’s not already painted a bright color, repaint it so you can easily locate it. Tell everyone in your family knows where it is, and when to turn it off. If your pipes break, you’ll need to locate it quickly to prevent water from pouring into your house – creating a major hassle and possible damage. Pipe breaks are preventable, and if you take precautions, it’s unlikely you’ll face this worst-case scenario. Outdoor spigots can freeze as temperatures drop. Freezing water expands, causing pipes to burst or faucets to break. To prevent this, disconnect outdoor hoses during the winter, and be sure the water line is turned off. Let any water drain from pipes when you disconnect the hoses. Insulating pipes in the coldest areas of your home can also prevent freezing pipes. You can wrap the water pipes in unheated areas of your home using inexpensive materials from your local hardware store. Garages, attics or crawlspaces may not be heated. These are good areas to add insulation. Another option is using heat tape on exposed pipes, which can also be purchased at a hardware store. Only UL(Underwriters Laboratories)-listed products should be used. “Winter winds whistling through overlooked openings can quickly freeze exposed water pipes,” Wilson said. Seal off access doors, vents or cracks in the home to prevent those pipes from freezing. Be sure not to plug any air vents used by your furnace or water heater. Power outages can also be a time when pipes are likely to freeze. The Pennsylvania Public Utility Commission works hard in advance of anticipated storms to prevent outages, a spokesman for the commission said. But it’s best to prepare for an outage yourself. Make sure you know the number for your utilities to report outages. Don’t call 911 about an outage, because dispatchers are probably already busy with a number of storm-related emergencies. In advance of storms, be sure you have any medications you need, a supply of food, and a charged cellphone. Fortunately, in times of power outages, MAWC's water will keep flowing thanks to generators at key points in the system. But if your heat is out, you may want to allow faucets to drip slowly to keep water moving through your pipes so they don't freeze. Opening cabinet doors where plumbing is located can also help keep pipes warm. If you have leaking pipes inside your home, be sure to call a licensed plumber for help. If your water line has ruptured before your meter, or if your meter is frozen, call MAWC at 724 755-5800. Our employees work 24/7 to make sure you have access to water, even on the coldest days of the year. MAWC reinvests the money you pay via your bill back into your water system. We’re putting your rate dollars to work on miles of water line replacements, treatment plant upgrades and other improvements. Visit our Leaks & Projects Map to see where we are working. On the map, you can click each construction icon for a summary of information about the project going on at that location. If you would like to learn more, scroll down and click on the project name to see drawings and descriptions. John Ashton knew he wanted a career in environmental studies early in life, as the son of a steel mill worker growing up in McKeesport. In the 1970s, public interest was turning toward the environment. Ashton combined his family history with his interest in environmental studies, and chose a career that would have a positive impact on his community. A past president of the Water Works Operators of PA, Ashton has decades of experience in the water treatment industry. He’s been a MAWC employee since 2005 and worked at both McKeesport Water Authority and Mckeesport Municipal Authority before that. Like many of our employees, Ashton is a licensed water operator and must keep his license current through hours of continuing education. That keeps our employees up to date on every regulation and new technology. Ashton said the lessons he learned from his parents continue to affect his work and his decisions. We recently talked with Ashton about his job as assistant manager at MAWC. How long have you worked for MAWC, and how long have you worked as assistant manager? I came back here in 2005, so 13 years. I worked for McKeesport Water Authority back in 1983 until 1989. MAWC took over Mckeesport Municipal Authority in 1987, so I worked for them for about a year, or year and a half. I’ve worked for 8 years as assistant manager. I’m a Class A water operator. That just means I obtained a certain amount of experience that the state of Pennsylvania requires, along with passing a certification exam, and I believe every three years we need 30 credits of continuing education. I have a bachelor of science in environmental resource management. I’ve taken numerous courses throughout my career. What are your primary duties and responsibilities? I’m responsible for all aspects of the water treatment plants, water quality program, the sewage treatment plants, the sewage collection systems, pressure regulation stations, leak detection and valve and hydrant maintenance programs. I also do land management, work with gas drilling operations on our reservoir, as well as the other duties as a manager. Where did you get your start in your career? I started at a little company called Sanitary Systems Services (SSS). It was a consulting firm in Pittsburgh. We did mostly waste water treatment and management, and managing waste water plants for small communities. Then it was onto the McKeesport Municipal Authority. Growing up in the ‘70s, I was interested in environmental work from the time I was in early high school. I grew up in Mckeesport, and at that time my father worked in the steel mill. As I was growing up, it was always interesting to go on the tours that the families were allowed to take at that time. There was an environmental movement going on with the steel mills in the area, and I got interested in that. There were a lot of environmental issues in the news back then. That made it interesting and exciting, and I thought I could make a difference for people. How have attitudes in the general public changed about the environment since then? It seems like people still have a high level of concern with the environment and what’s going on. However, the level of what was going on throughout the ‘60s and the ‘70s were such that you don’t have those prominent issues in the public eye so much today. There are issues from an environmental standpoint that people are investigating with technology today. A lot of that information gets to be confusing for people, and they get involved with things sometimes on an environmental front that aren’t the type of issues people got involved with in the ‘60s and ‘70s and early ‘80s. Busy. Typically, I start at 7 in the morning. I’m normally either around here at the office, or going to one of the treatment facilities to review work with one of the supervisors. It could be just about anything. Right now, I’m working on budgets for our upcoming fiscal year. Typically, I get out of here around 5, 5:30 and go home. I don’t really know if there’s a typical day. What projects or work do you oversee? I directly oversee the water quality staff and the supervisors at each treatment plant. My direct reports are the operations managers at distribution facilities, sewage facilities and land managers. Anything to do with the water treatment plants, any capital projects, I get involved. What advice would you give to someone who wants to pursue this type of career? You have to be happy in what you’re doing. You have to be committed to what you’re doing. This is a 24/7/365 job. Every day, people need clean water. Every day, people need for their sanitation to be taken care of. Everybody here needs to realize that, and you have to be committed to the customers, all the time. You don’t get to close the doors at 5. You don’t get to take the weekends off. Every day, you know if you get a call, you have to take care of that. I think if you’re going to be in this job, you have to realize that. What are some things you have learned in your time with MAWC? Just in my career, I’ve learned patience. That’s probably the biggest thing. Some things take time to get taken care of, and you need to keep in mind that you’re on the right path and you’re going to get there. How have things changed since you first started on your career with MAWC? Technology, and the use of technology. The amount of environmental regulations are significantly more than what they were when I first started. Customer involvement -- a lot of that is through technology and social media now. I believe the customer today demands a higher quality of work than what customers did back in the ‘80s when I started. If you provided clean water, people noticed that it was clean that it wasn’t turbid or didn’t have any discolorations in it, and they thought it was OK. Today, that’s not the same. Today, they look at the data, and we provide a whole lot more data than we ever did before. I don’t think people change a whole lot. I just think it’s what’s available to them. There’s so much more information available to people that it changes the way they look at things. I don’t think our workers have changed. I think we have highly competent workers just like we did when I started. We have people from the day I started to today that will work many hours of overtime over several days, no matter what. No matter if it’s 10 degrees or there’s nine inches of rain. Do you have any favorite mottos or words to live by? I actually keep this up in my office. I don’t know who to attribute the quote to, but it basically says that any man who hasn’t done anything has never made a mistake. In that regard, I try to make sure we are always making something better. Sometimes, in order to do that, you need to take some calculated risks. If you’re not willing to take some risks, you’re not going to move forward. Did you know that it's your responsibility to update your emergency contact information so that MAWC can reach you in the event of an emergency or planned outage? Click here to get started. You'll need your account number to verify your identity. View of a frozen Beaver Run Reservoir earlier this year. Sometimes freezing weather can creep underground and cause a MAWC water line to break. That's when MAWC crews go into overdrive. In January 2018, when temperatures dipped below zero for portions of three weeks, there were 198 water line breaks, 150 frozen meters and 39 service line leaks reported. Because of the severe weather, those totals were nearly half of all the breaks reported in all of 2017. MAWC crews had to leap into action. For the month, MAWC distribution crews logged 8,663 overtime hours, 5,866 hours more than in January 2017. The customer service call center received nearly 3,000 more calls than the year before, and the water treatment plant staff produced much larger amounts of treated water to keep customers in service. Approximately $360,000 was spent in January for materials to repair the leaks and in lost water. While those numbers may seem like a lot, the MAWC distribution system totals approximately 2,400 miles of water mains, and that's not counting its portion of service lines it owns. “This is why we invest in our most important resource – our employees. They are the ones who get us through,” said MAWC Business Manager Brian Hohman. Continuing pipeline investment and replacement is MAWC's strategy to ensure system reliability and limit service disrutions, Hohman added.